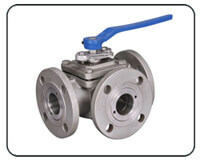 Valves Exporter and Supplier of Stainless Steel Valves. 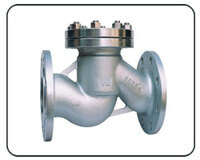 Suraj Steelmet has been serving as a Valve Exporter since last two decades. With the Indian market we have also lined our supplies to international market. To attain first-class precision and render world-class products we work on our toes day and night. To match latest trends it is important to install modern technologies and methods. We keep monitoring market trends and take them to upper level with our efforts. Our exporting unit is fully equipped with best exporting machines to get the finest quality products. 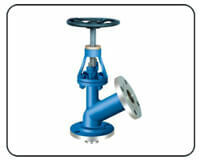 Valves are used to serve a variety of objectives in various industrial sectors. Right valve selection can determine the success or failure of the system. As they are used to ensure safe & efficient system operations it is prime to make wise selection. For a valve to be supreme in quality it is essential for it to be crack and leakage resistant. We at Suraj Steelmet self-inspect the quality of raw material before directing it for processing. The way we carry the working strategy has made us a renowned valve exporter. We offer a wide range of products and also a huge options in them. Our team of experts contact the purchaser and discuss all the desired specifications before instructing exporting unit to proceed. Material: Cast Iron, Cast Steel, Forged Steel, Stainless Steel, Brass etc. 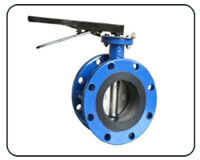 The design of ball valve has a quarter turn spindle, ball and handle. The spindle is connected to the ball inside the valve. Handle lets you see the valve's position i.e. open or close. When the valve is opened the handle is placed along the valve or pipe's direction and when closed it is perpendicular to the valve. 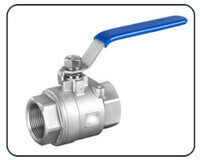 The plus point of ball valve is: they are strong and highly durable. They are perfect for shut off applications. The operation of the gate valve has got it its name. This valve acts like a gate to stop or allow the flow through itself. 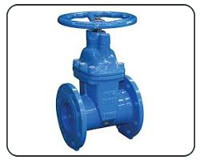 The valve is either fully closed or fully opened, thus, it faces least pressure drop. These valves are designed for uses related to liquid and gases flow. Here, the valve is opened by lifting the wedge out of the flow path. They are best suitable for hot tapping and pigging and not for throttling purpose. The globe valve is called so because of its rounded body shape. They are good for regulating flow in a pipeline and ideal for gases control choices. 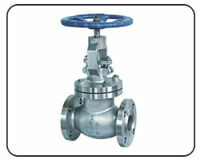 Suraj Steelmet is a known exporter of quality valves and globe valve is one amongst them. Before starting any process we deeply study various factors that can affect its working quality. We offer best balance of requirements and limitations through our services. 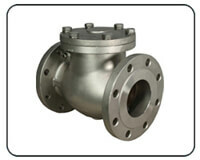 Check valves are two port valves i.e. two sides opened. Swing check valve allows unidirectional flow. From one side fluid enters and from other it leaves. These are automatic valves that do not require open and close assistance. As they have single directional functionality, thus, automatically prevents backflow or reverse flow. We at Suraj Steelmet maintain inventory of finished swing check valves at best competitive prices. It is also a type of check valve that operates because of the difference between upstream & downstream pressures. When the inlet pressure is high then the disc lifts up and the valve allows the fluid to flow to the outlet side. If the downstream or gravity pressure if higher than inlet pressure the disc gets back to its seat. This way reverse flow is blocked. For the smooth process it is important to have durable working disc and this is what we offer. We examine the raw material to be used in our product’s exporting. This results in durable quality production. Wafer check valve is another type of check valve that allows only unidirectional flow. The advantage of employing check valves is that they automatically block the reverse flow with the change in pressure difference. 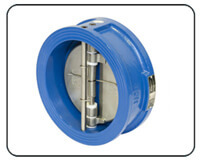 Wafer check valves have thin design with the swinging disc as the main component. These valves are made to fit in tight spaces so it is desired to get them accurately designed. We offer cut-to-cut exporting and ensures its proper functioning before releasing the consignment. Butterfly Valves are compact, lightweight and quick opening valves. These are the metal valves ideal for petrochemical and oil industries. These are the most suitable valves in fire sensitive industries because of their lightweight and fire safe nature. As they are small in size, they fit small dimensional needs where space is limited. We at Suraj Steelmet work along specifications entirely to get the required results. Multiport design system offer great designing flexibility as they can accommodate various ends. Four seats featuring designs are more balanced than 3 seats ball valve. Installing such multiport designs make a lot of tasks easier like for changing the flow plan you can simply remove the valve handle & reposition the ball. Such one piece design can replace more expensive valves. We add great value to the products through our fine exporting unit. Before providing any piping system solution we determine all aspects. Flush bottom valves are special purpose valves used for draining the unwanted. They are available in various sizes and materials. The material range is given to suit every type of industrial flushing needs. We have an inventory of standard sized flush bottom valves to fulfil instant demands. For special orders we carry out the exporting as per given specifications.